Accreditation and assessment support NC State’s academic excellence by establishing learning outcomes that provide benchmarks for the success of all academic programs. 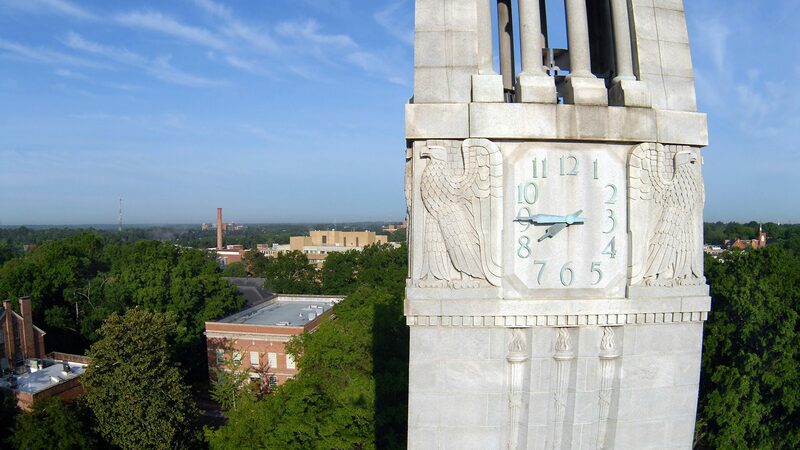 NC State maintains assessment plans for each academic program, including all degree programs and certificates recognized on official university transcripts. Each assessment plan describes measurable student learning and program outcomes and appropriate evaluation methods. The university requires an annual assessment report for each academic program. Reports provide an update including a summary of recent assessment results, an evaluation of strengths and areas for program improvement based on the results, and a description of decisions made and implemented to address areas for program improvement. We provide access to assessment reports and corresponding learning outcomes for each academic program and certificate.